Arrived Sunday for a fortnight’s stay. It had just stopped raining. 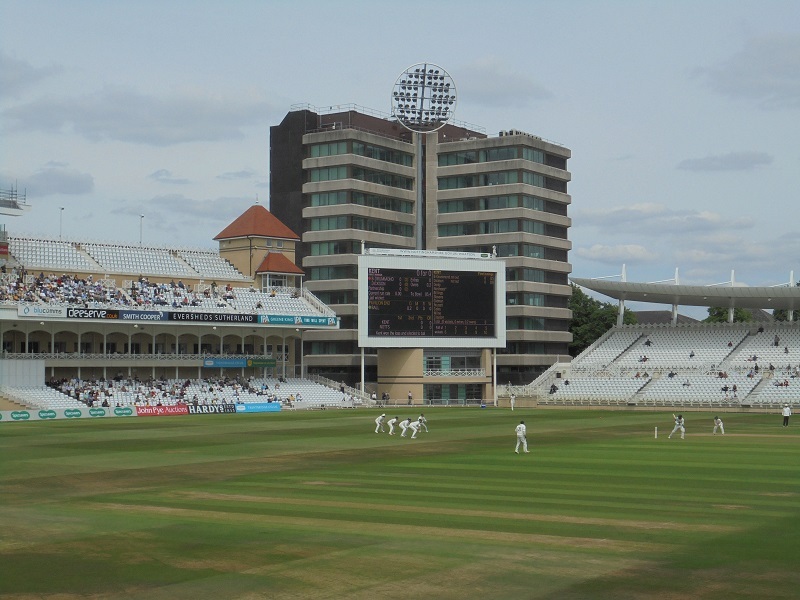 Yesterday (Monday) was a reasonable day watching cricket at the Trent Bridge ground in Nottingham (picture below) but today has dawned grey and damp. Forecast is for showers turning to longer periods of rain, possibly thundery later. The chance of any cricketing activity today seems slim. Almost forgot these! 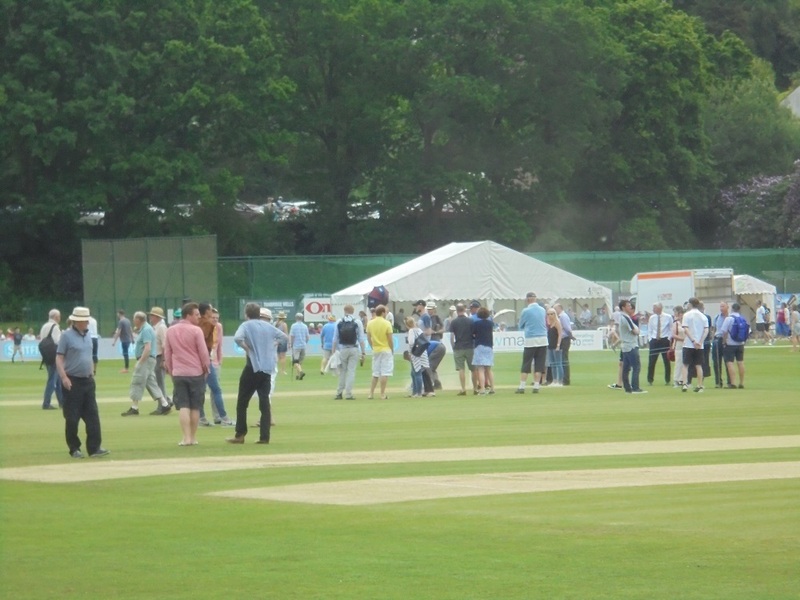 A couple of panoramas of the cricket ground in Tunbridge Wells, taken during an interval in play. Yesterday afternoon’s rain across southern England avoided Tunbridge Wells, but it was very cloudy at times. 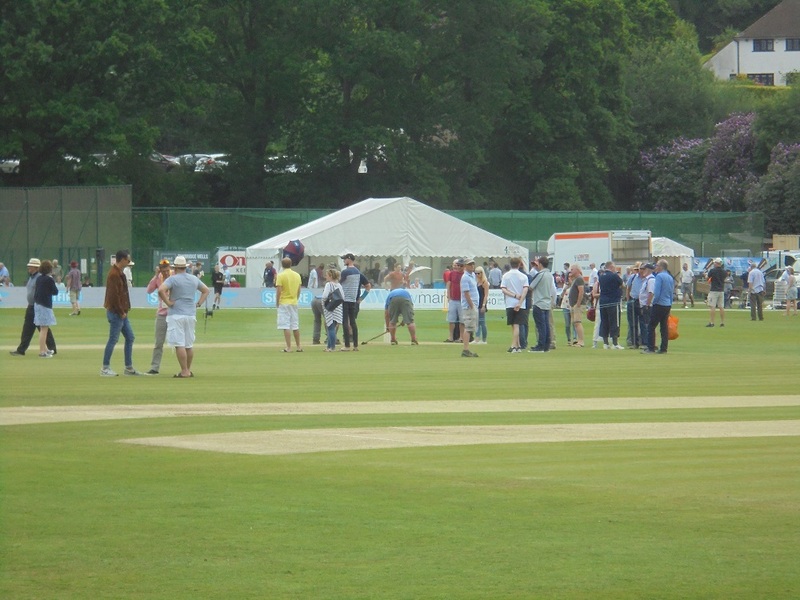 The time honoured rituals of cricket at the outgrounds were able to be observed during the tea interval. Day four of the game arrives, Kent need four wickets to win which they will have to press for as a prolonged spell of rain is forecast for later today. It’s a holiday today in the UK, so of course it is going to rain!